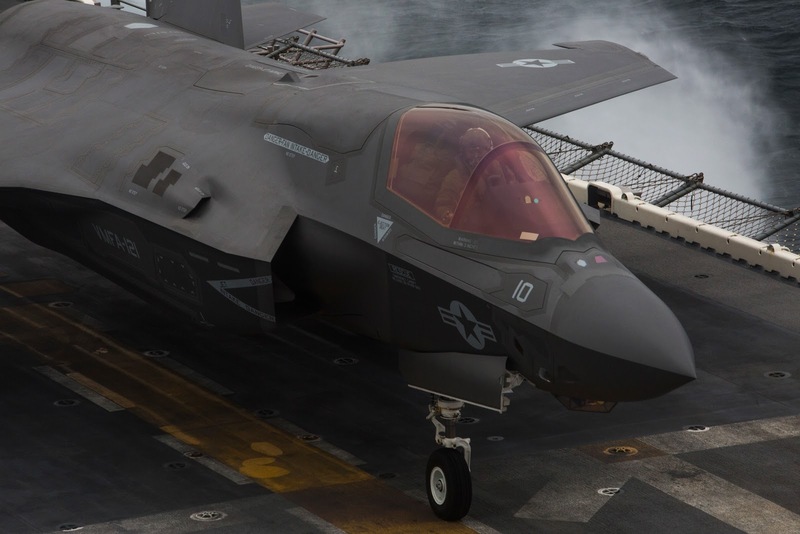 This morning we're hearing a bit of crowing from HQMC, the F-35 Program Office and others about the plane making it out to the 31st MEU/USS Wasp form its first cruise. Unfortunately it's in the Pacific so it'll only see scripted action in wargames. Still, this could be telling. I don't expect any kind of transparency from the Marine Corps or the Program Office on this deployment. But you can't hide ugly and if this plane is a maintenance hog, and has other issues then we should get whiffs of it. You can't keep secrets on ships with so many people aboard. So watch this thing. Separate the wheat from the chaff. Understand that this is more publicity stunt than actual combat deployment and that we're gonna have to dig a bit to find the truth of things. Keep watching the skies (and this deployment)!